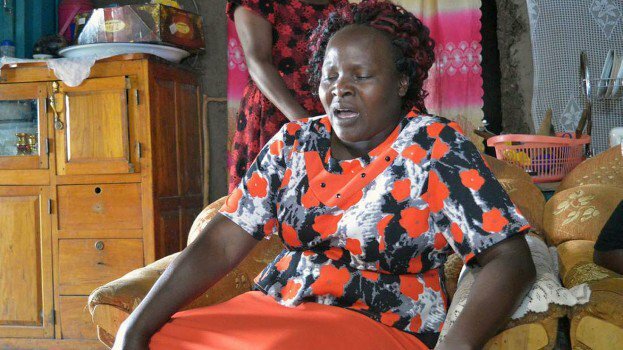 It was a very emotional day in court for the mother of Sharon Otieno, Melida Auma, as governor Okoth Obado took to the dock to answer to the charges of aiding and abetting the crime of murdering Sharon Otieno. Melida could not hold back her tears as Okoth Obado said with a straight face that he did not kill the former Rongo University student. The governor is currently being held at the remand prison in Industrial Area Prison as he awaits his bail application hearing tomorrow. The mother had earlier said in an interview that he had warned her daughter against brushing shoulders with politicians. She said in the same interview that the governor had wanted Sharon to abort the baby she was carrying when the pregnancy was three months old. The request was denied by Sharon. The governor, according to the mother had promised to build the late a house and take care of the child before and after birth. She further said that she was picked from her place of work by a high ranking officer when her daughter was abducted. Meanwhile, one of the governor's bodyguards, John Chacha, was arrested by detectives in the city. They were arresting him for using someone else's papers to join the police force. His gun was taken away by the detectives during the arrest. The twists and turns continue in the murder case.